Affton Walden Archives « Breastfeed.Babywear.ClothDiaper.Naturally! Breastfeed.Babywear.ClothDiaper.Naturally! If a woman on your Christmas list is pregnant this year, you may find yourself having a difficult time shopping for her. Typical gifts often are not ideal for a pregnant woman. Our clothing size is ever changing and will continue to change post-baby. So steer clear of clothes or items to remind her she is getting bigger with every Christmas cookie she eats. To help you find the perfect gift for the expectant mama on your shopping list, I have found several great items that I want to share with you. Here are some awesome gifts for pregnant women! I love these compression socks from Vim and Vigr. There are so many fun patterns to choose from. Wearing compression socks during pregnancy can help prevent swelling, help support good blood flow, and prevent annoying leg cramps. These socks are also just perfect for after baby is born. I know with my previous pregnancies the swelling came on much worst after the baby was born. And who doesn’t want to wear pretty socks while hanging out at home or in the hospital snuggling your new bundle of joy! 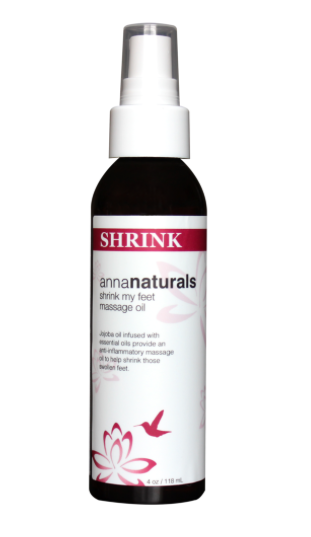 While on the topic of swelling–Anna Naturals Shrink My Feet Salt Soak makes a perfect stocking stuffer. This product has a light scent as to not over power those sensitive noses pregnant women tend to suffer from. 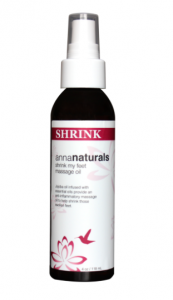 Pair this foot soak with Anna Naturals Shrink My Feet Massage Oil for essential oil relief for tired and swollen feet. I love that both of these products are all natural–just as the name suggests. Another great gift idea for any pregnant mama is a great water bottle. During pregnancy women need to drink lots of water. Nursing mothers also need to drink tons and tons of water. It is difficult for new moms to remember to drink water as we are busy tending to our newborn’s needs. A solid, spill proof water bottle can be a huge help in making sure you take in enough fluids. I like Pura Sport bottles. They are made of stainless steel and free of BPA/BPS. We have enough to worry about with a new baby, we don’t need to worry about toxins leaching into our water. I personally love the fact that these are dishwasher safe. 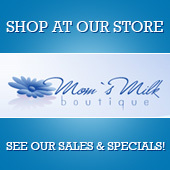 Those are just a few great gift ideas for the pregnant mama in your life that can all be found at Mom’s Milk Boutique. Check in often, as the sales and freebies can help you save a bundle this holiday season. Affton Walden is a mother of three with number four due in February. She keeps busy enjoying life as a wife and mother.